Who said you need good grapes to make a good wine? Pascal Miche a wine-maker living in beautiful Charlevoix (Quebec), uses heirloom tomatoes to create an unusual, yet very pleasant tomato wine. His secret lies in a four-generations-old Belgian family recipe. Just as regular wine-makers do with their grapes, Pascal chooses only the very best tomatoes for his Omerto wine, named after his grand-father Omer, who passed his secret recipe down to him. The tomato wine-making process consists of the same steps used to make the drink from grapes (crushing, soaking, fermenting and pressing) and takes about nine months to complete, from field to bottle. Pascal Miche has no problem calling his creation “wine” in North America, but he’ll have to find another name for it if he decides to go through with his plans of commercializing Omerto in Europe. There, only alcoholic beverages made from fermented grape juice may be called wine. However, with a production of about 34,000 375ml bottles in 2011, exporting to Europe is likely not going to happen very soon. 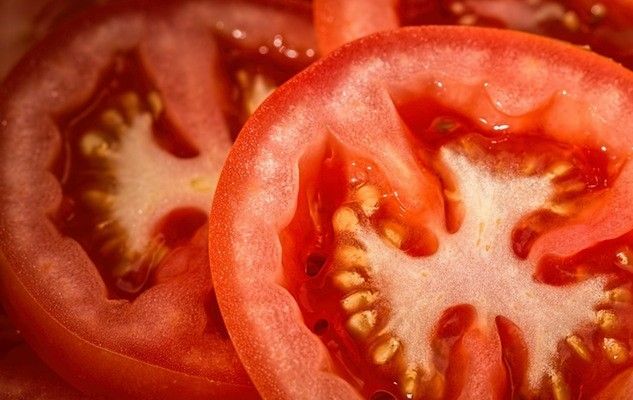 According to sommeliers, Omerto tomato wine has a ”hint of fruit, zesty aspects, a bit honey-sweet, which could be very good with desserts and spicy foods”. Omerto is available in a dry and in a “moelleux” (sweet) version, both at 18% alcohol. If you wish to try it out, you can order it directly on their website, or, even better, take this opportunity to tour lovely Charlevoix and pay a visit to the Domaine de la Vallée du Bras. As far as myself, I got my bottle at Marché des saveurs (Jean-Talon Market) in Montreal. Cheers! Saw his vineyard on Michael Portillo’s Great Railway Journeys, will have to try and order some, wish I could visit in person. « Have a Soupy New Year!